Ahead of one of the biggest IPOs in history, here's what investors will be buying and how it all works. From its humble beginnings in a snowy Paris street a decade ago, Uber is potentially weeks away from joining the ranks of the world's biggest publicly-listed companies. At a reported $120 billion (£92.1 billion), the valuation of Uber's proposed IPO on the New York Stock Exchange would make the ride-hailing service one of the biggest market debutants in history. If it were in the FTSE 100 index, it would be the sixth largest company, bigger even than GlaxoSmithKline (LSE:GSK). It represents a remarkable journey for a company only established in March 2009 when co-founders Travis Kalanick and Garrett Camp set up UberCab, a smartphone app that lets users book a trip at the touch of a button. A few weeks earlier, they had come up with their idea for Uber after finding themselves stuck in Paris on New Year's Eve with little option but to spend a fortune on hiring a private driver. 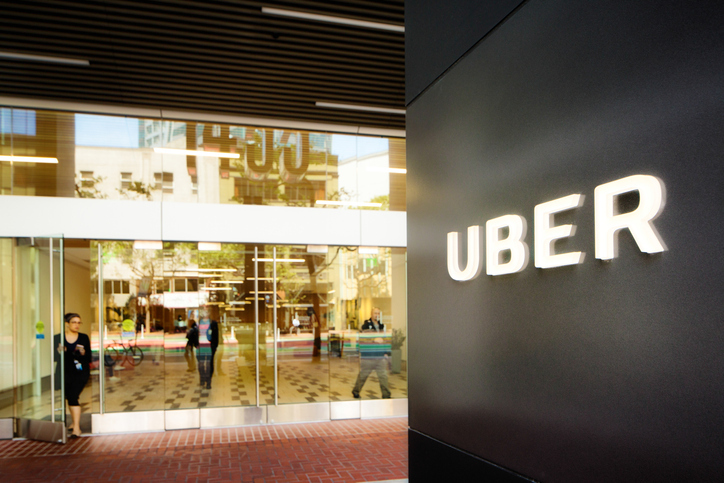 By the following July, UberCab had connected its first rider with an executive car for a trip across San Francisco, where Uber is still headquartered. A decade later, 15 million trips are completed each day, with one jet-setting customer able to notch Uber rides in 126 cities during 2018 alone. Now there are Uber operations in more than 70 countries, with the company's reach extending to bike and scooter rentals, freight hauling, food delivery through UberEats and even a self-driving car division. Uber's flexible workplace model has also had a major impact on global economies, with a sharp rise in the ranks of self-employed who are paid by the jobs they do rather than a regular wage. It's been estimated that nearly a quarter of drivers in the United States were unemployed prior to driving with Uber, with the platform also helping to support $17 billion of US GDP a year. The rise of Uber means that Kalanick and Camp will follow in the footsteps of Bill Gates, Steve Jobs, Larry Page, Mark Zuckerberg and Elon Musk as individuals who have turned their ideas into successful multi-billion-dollar businesses. Not that everything has gone smoothly for Kalanick, who was the face of Uber for many years until he was removed as chief executive by shareholders in 2017. He has remained on the board and reportedly still owns 7% of the business. The company's 16,000 employees are now led by Dara Khosrowshahi, previously the boss of online travel company Expedia. One of his first tasks has been to rebuild Uber's reputation following a series of controversies, including sexual harassment claims made by employees. His first month in the job also brought the shock decision by Transport for London to reject Uber's licence renewal application due to concerns over its background checks on drivers and how assaults on passengers are reported to police. Khosrowshahi helped to overturn the ruling, with the current licence in one of Uber's biggest markets now set to run until September. As well as various regulatory and legal pressures, the CEO will also have to convince future investors that he has sufficient growth levers to pull in order to sustain a business that boosted revenues by 43% to $11.3 billion in 2018 - but still lost a reported $3.3 billion. One recent initiative has been the acquisition of Careem in the Middle East for $3.1 billion. Established in 2012, Careem is now in 120 cities across 15 countries and has expanded its services from ride-hailing into an internet platform covering mass transportation, delivery and payments.